An older from 2012; I thought it deserved another moment in the spotlight here at 1967beetle.com. 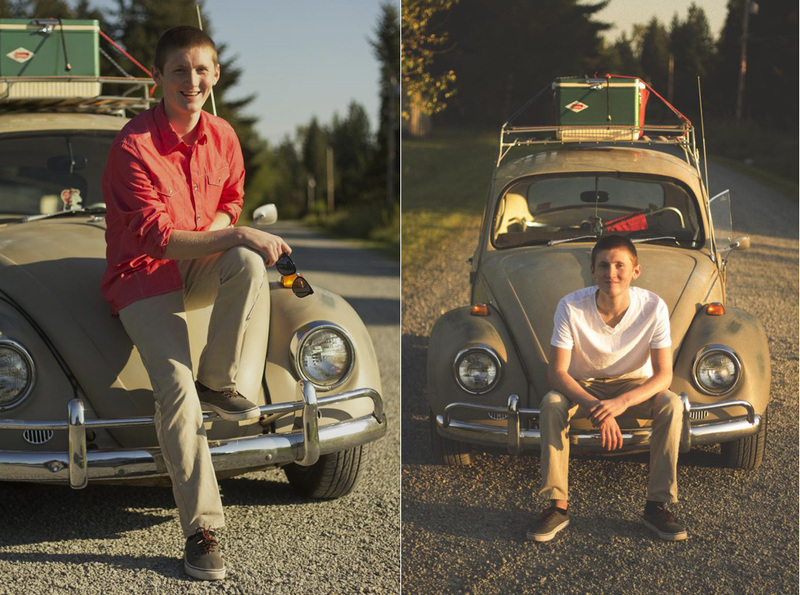 The history of my ’67 bug starts long before I actually bought mine. 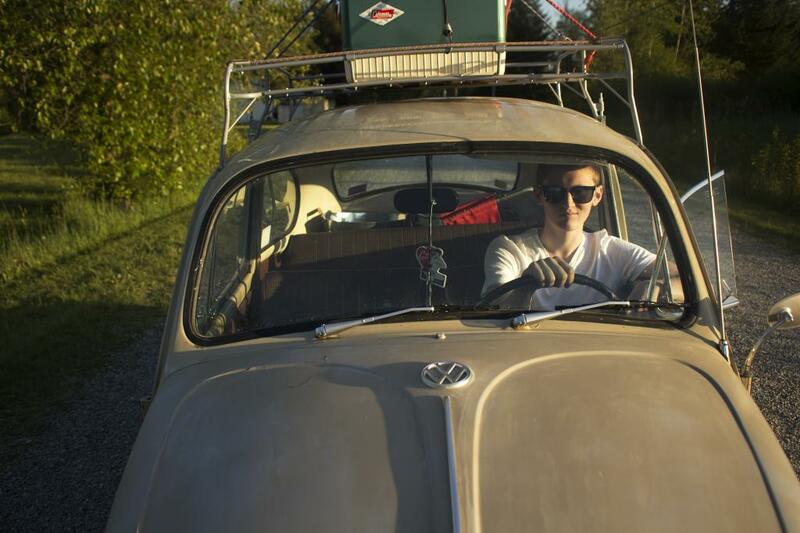 My grandfather and grandmother both drove Volkswagens. They had a ’54 split window and then later a ’63. My father remembers playing behind the rear seat with his brothers. His uncles also all had VWs. They were allowed these cars because they were slow; they couldn’t race other cars and because they were cheap. My father actually drove a ’72 Super with late Porsche Fuchs on his wedding day. My cousin was the one who truly got me into the VW scene. When I was about, 14 he sent me an email with a Blue ’72 Super Beetle that was for sale. From that moment on I had caught the bug. I earned money as fast as I could, and after about a year and a half I had enough to purchase my first ’67. By age 16, I went and looked a ’62, a ’64, a ’66. But none seemed to feel “right.” Then I got on the internet and saw and ad for a ’67. This one felt special. I went for it. It was in very original condition. I have most the parts that are unique to ’67 except I don’t have the original motor. The car was serviced by one shop and one owner since 1991. I had plans to make it my own and give it my own personality. I wanted to go with a modified Cal Look. 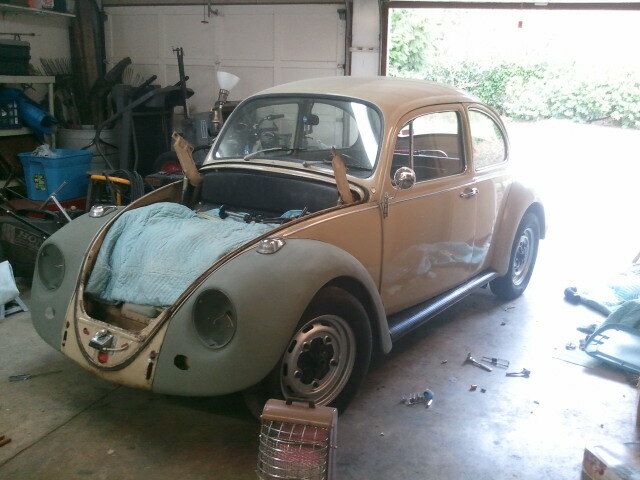 I daily drove the bug while I fixed it up. My friends loved the car very much and my dad always supported me. My girlfriend also loved it. I decided to name my ’67 Olga. I replaced the front fenders because they were rusty and one wasn’t original. Also I did some rust removal on the hood. After several car shows I decided to get some new wheels. BRMs seemed like a good choice. I continued to drive the car with multi-colored panels. New paint wasn’t in my budget. As time progessed, I eventually went with a close color matched rattle can job on the fenders and hood; back to almost the same color. People always gave me thumbs up and would talk to me at the gas station. After more car shows, original paint VWs seemed very cool to me because of their character. So I gave my bug a new look. The “fauxtina” look. I also began to collect more vintage accessories for Olga to complete the “ratty” look. With this new look, I got way more thumbs up and honks and waves from people on the street. But then again, I wanted to change the look of my car. I want to go lower. It is a skyscraper as of now. My opinion of stock ’67’s vs not stock is very liberal. I can appreciate a bone stock bug for what it is. Simple, clean, and tastefully done. But I also see what is impressive about a slammed bug that has some custom touches. 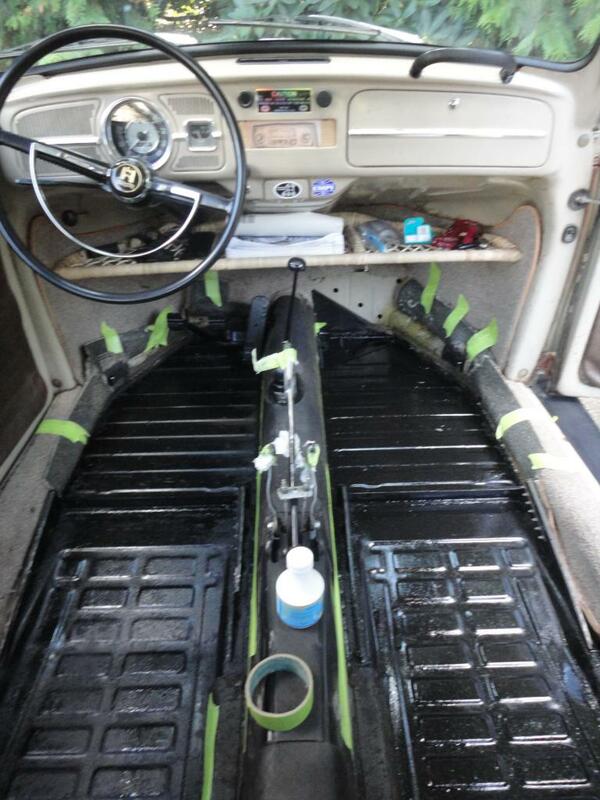 The hardest part throughout my ’67’s journey has been aftermarket parts. They are cheap, they are flimsy. It is always disappointing to have a new part not fit when it is supposed to fit. 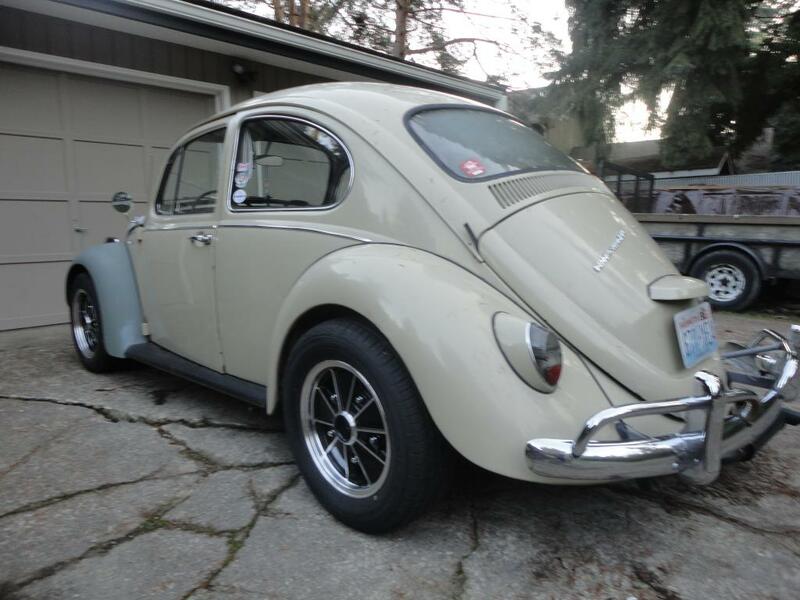 Prior to owning my ’67, I used to think that they were a bad year of bug. They are too late to be considered early bugs, and too early to be considered late bugs. They truly are an awkward year for Volkswagen. But that is what makes them so special. A mixture of both young and old technology. The best of what VW had to provide at the time. A huge change in the ideology of consistency in design that had driven VW throughout it’s history. The ’67 Bug is simply: Magical. 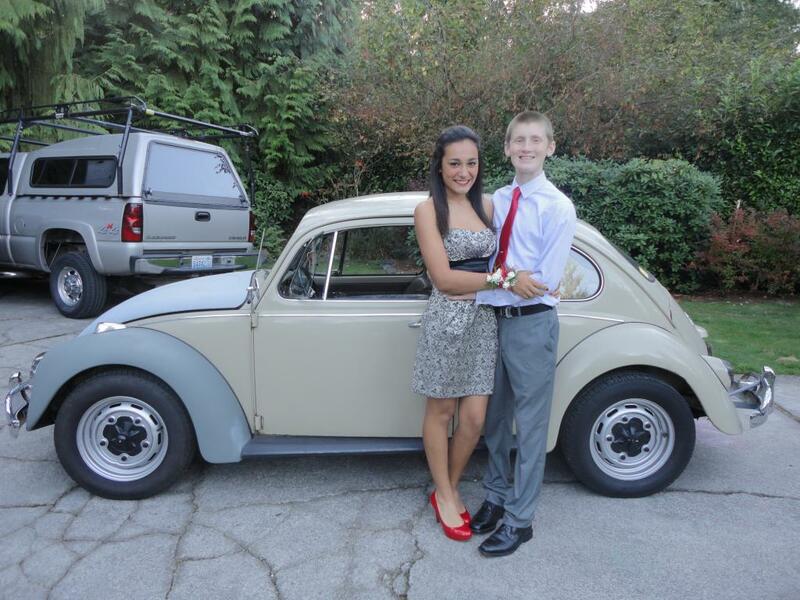 Thanks, James, for sharing your ’67 with 1967beetle.com. 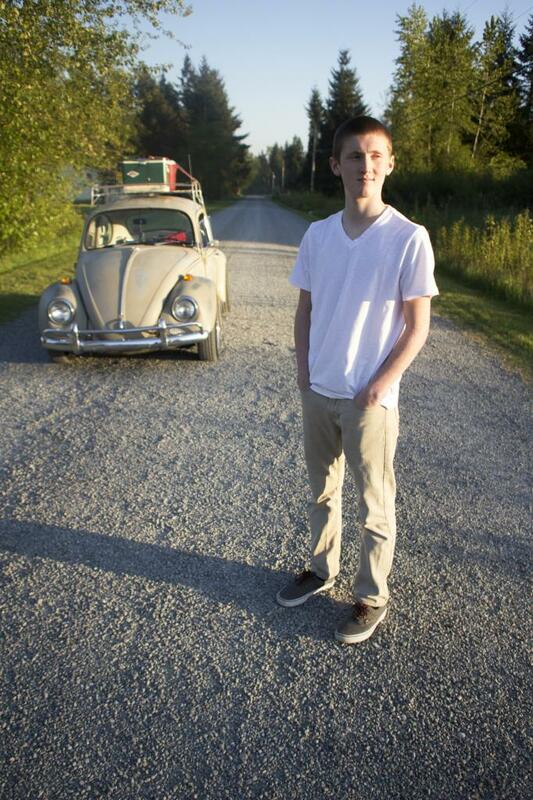 So great to see the younger generation get interested in vintage Volkswagens. Nice writeup! Good seeing you here, James. How’s the roof rack working out? Did you sell him that OG one you had? Nice to see a young guy with a great car and an open perspective on stock versus slightly personalized. I own a 67 Vert that is lowered slightly, Porsche alloys, 1600 SP and personalized canvas top etc. and a Model A Ford coupe that is bone stock and would have made a great street rod. Both have their merits as they are and fun to drive but the Bug is ultimately more “streetable” in this day and age. I’ve owned the Beetle for 25 years and the “A” for over 40 (married in one and used the other for two sons’ marriages). The often asked question about stock versus modified is a non issue for me. A bone stock 67 is unique and the best of the best. A tastefully modified 67 (wheels, engine mods, etc.) 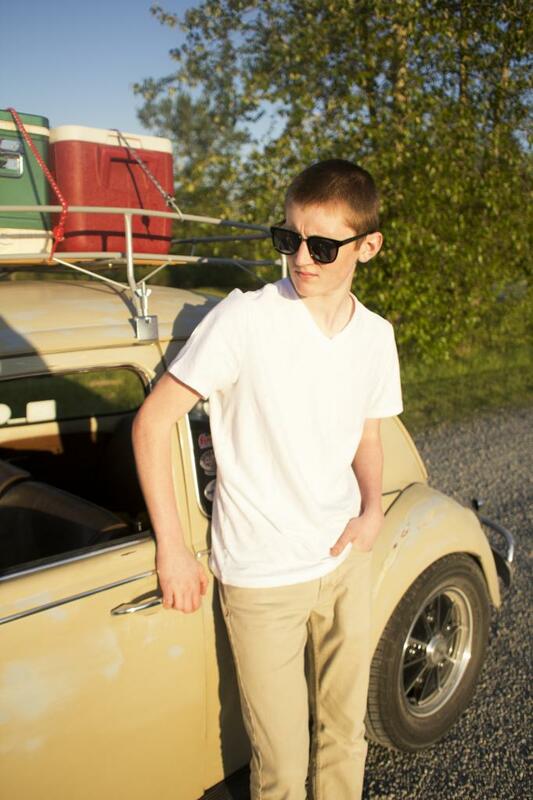 is unmatched in looks and potential for all Beetle years. You can’t really lose!! Well done James. Thanks for the article. Great story, love the look of your bug. I have the same wheels. Keep up the nice look James! Great work, James. Thanks for the contribution. Nice bug. I’ve only been around this site for a couple months, so I was really pleased to see a modified ’67 featured here. I’ve had my ’67 since 1984 and I love it. Thanks for reading! We do feature all walks of life when it comes to these cars. Each has a unique story. Well that is a great looking car, and all the hard to find pieces, along with the few touches, just adds to it I think. I would cruis proudly in this one for sure. I love ’em all! What makes them unique is the story behind them. Great job,James!